Forward Fertility- Working closely with surrogates and egg donors to help form loving families for those who need help on their journey to becoming parents. Forward Fertility is an innovative progressive business run by Christie Olsen, a women’s health nurse practitioner and Madison-loving resident since 2002. Primarily, Forward Fertilityprovides professional guidance and support to women who want to be egg donors or surrogates along with the same exceptional service for the parents-to-be seeking surrogates and/or egg donors. Forward Fertility is also committed to the community at large to improve “Fertility Literacy” – increasing awareness about fertility testing, treatments, options, and education. This has been done through newspaper articles, radio interview, free information sessions across the state. Swim West – Half-Pint’s oldest supporter, and the place that both Lisa and Ellen’s kids learned to swim!! The only sport that saves a life. Swim Safer, Swim Smarter. SwimWest has two location, Fitchburg and West Madison. Warm water to keep your babies warm while learning to be safer in and around the water. We have on going registration and welcome you to come in and try us out for free at either of our locations. We have small classes, certified teachers with friendly staff ready to assist you where ever needed. Come and visit us today. Huckleberry & Persimmon is a place for families to grow. Huckleberry & Persimmon is a new small business on the west side of Madison. We offer children’s enrichment classes including science, art, movement, music, and language for Littles (1-3 years) and Bigs (2-5 years). We offer a parent/infant social group, Itty Bitties, and an open play group, Mayhem Hour, for kids to burn off that extra energy before bed! Parent/caregiver workshops will also be offered on a variety of topics. Half Pint Resale shoppers will receive a coupon for discounted class registration and a free pass to Mayhem Hour! There will also be drawings at the sale for a $50 gift certificate, tee shirts, and other fun prizes! And don’t miss their Grand Opening on September 19, 3:30-6pm! Meriter – UnityPoint Health – Coordinating your care from the doctor’s office to the hospital and back home. Meriter – UnityPoint Health makes it easy to get your family in to see a doctor through same-day appointments and extended hours, as well as a pediatric after-hours clinic open nights and weekends. Our health care professionals and physicians all work toward the same goal: individualized, coordinated care for the patients we treat so every patient can be healthy every day. The point of everything we do is you. Hulafrog Madison – Subscribe to Hulafrog to find the best local events, activites, and businesses that cater to kids and families! Hulafrog Madison curates the best local events, activities, and businesses that cater to kids and families in our area. Visit the site daily to find tons of awesome events and recommendations from area parents. Subscribe to their free newsletter and be ‘in the know’ about fun events going on around town that you and your kids won’t want to miss! Half-Pint Resale is proud to be the 2014 and 2015 Most-Loved Hula-frog Children’s Consignment Sale! Unity Health Insurance, a local leader in health and wellness, provides top-rated health plans to more than 175,000 members throughout southwestern and south central Wisconsin. When looking for a health plan, choose the one that offers you great doctors and guaranteed access to all UW Health physicians. When you choose Unity, you receive Quality care, Consistent service and Convenient access to a large network of doctors and innovative health and wellness programs. As your health plan, our goal is to exceed your expectations in everything we do. Nicki’s Diapers – The Next Generation of Cloth Diapers! Cooperative Playgroup of Madison – a place for families/nannies to build community, support each other, and spend time together while participating in their young children’s play and socialization in a safe and stimulating environment. Middleton Preschool – Offering both half day preschool and 4K, Middleton Preschool takes pride in helping prepare preschool aged children for success in kindergarten and beyond. Welcome to Middleton Preschool! We take pride in helping prepare preschool aged children for success in kindergarten and beyond. Our curriculum encourages social, mental, emotional and physical growth in a safe and healthy environment for all of our children. Please, come and take a closer look at Middleton Preschool’s teaching philosophy, enrollment guidelines, curriculum and objectives that we strive to offer our children each and every school year. Babywearing International of Madison – Babywearing International of Madison is a Wisconsin chapter of Babywearing International, Inc., a 501(c)3 non-profit organization whose mission is to promote babywearing as a universally accepted practice, with benefits for both child and caregiver, through education and support. 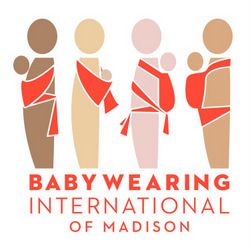 In addition to mainstream education sessions, workshops, and events, BWI-Madison strives to promote babywearing in all communities, with a targeted focus on underserved populations. Through partnerships with community organizations and resources, we reach out to a diverse population of caregivers and empower them to keep their children close, and experience the many benefits of babywearing. They have monthly meetings, online support, a lending library, and provide outreach to the community. Speaking of outreach, find the awesome members of BWI Madison at Half-Pint near the baby carriers, helping you make informed choices! We’re sooo very excited ot have them back! 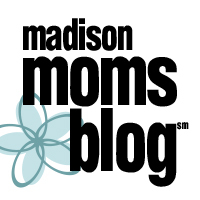 Madison Mom’s Blog – We are passionate about encouraging other Madison Moms to get out in our great community and try new things!